Master Lock Adjustable Cable Lockout (from 1.83 m up to 15 m) is an universal lockout unit. It includes a durable yet flexible multi-stranded steel cable that is insulated with a clear plastic coating (PVC free). It is perfect for securing multiple circuit breaker panel and side-by-side gate valve lockouts. Master Lock Adjustable Cable Lockout (from 1.83 m up to 15 m) offers you a flexible and durable solution when multiple lockouts are required. 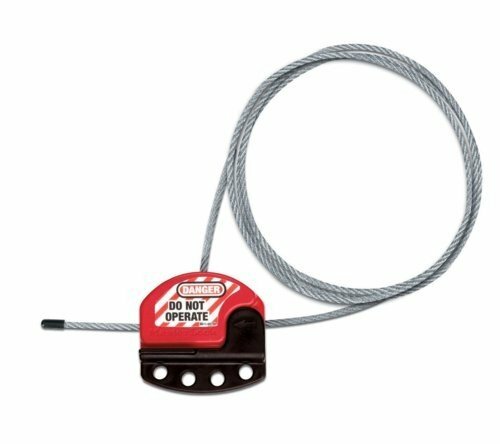 Lockout multiple points with this integrated safety hasp and cable.